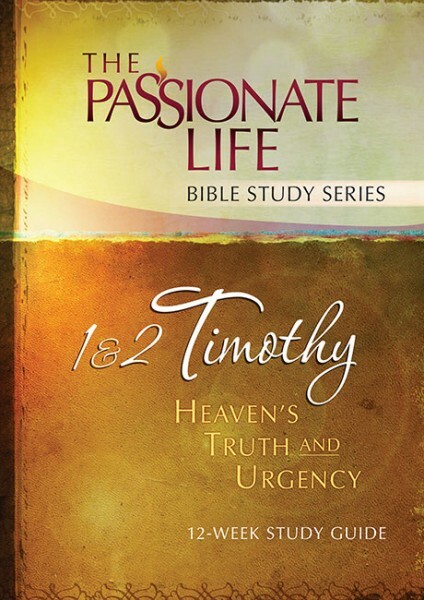 1 and 2 Timothy, given from a spiritual father to his spiritual son, contain powerful revelation-insights for our churches today! Paul’s message is filled with an unusual urgency, unveiling the glorious truths of our Life-Giver and our life in him. We’ve designed this study to help you explore and discover God’s heart for you, the church, and the world through heaven’s truths. Each uniquely-crafted lesson opens with an introduction and key verse to reveal important themes. Four sections guide readers through 1 and 2 Timothy in a way that will help you discover, explore, experience, and share the heart of God more deeply. Engage these truths with a hungry heart, wrap them around your life, and watch God bring true growth and maturity into your spirit to help you finish your life-race with passion and love to the very end!